A force gauge measures the pull force or pressure applied and can be set to live display or peak hold defending on the application. Force gauges are commonly used in applications such as a door opening, strength of wire, friction testing and many other quality or safetly tests where the live force or peak force needs to be measured. You can choose from analogue and digital force gauges with a wide array of optional accessories to satisfy your application. 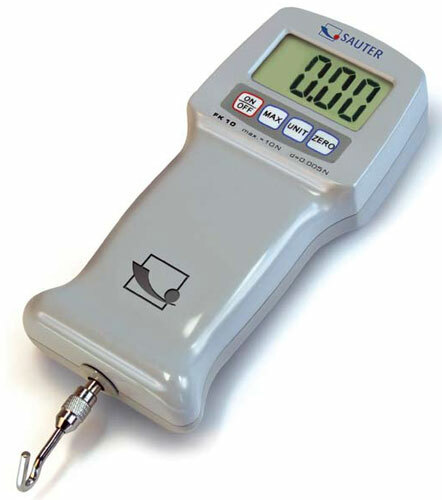 Robust Push-Pull Force Gauge for simple measurement with a data sampling rate of 1000 Hz and an accuracy of 0.5 % of capacity.